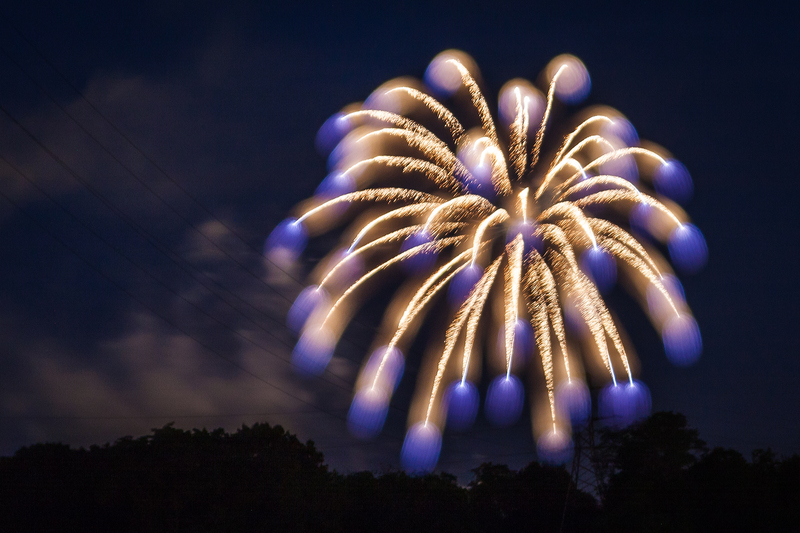 This was my attempt at capturing Fireworks in a different way. This is done is with a long 2-3 second exposure, manual focus, then quickly adjusting the camera out of focus right at the last 1/4 second or so to show nice bokeh at the tips of the fire works. Next time I will try this while I am closer to the fireworks or have the correct lens.